Today is a big day. It’s Sean’s birthday. But not just any birthday, it’s his 40th birthday! I still remember when my mom turned 40 back when I was a kid. The house was decorated in black with “over the hill” signs everywhere. I grew up dreading the thought of 40. Back then it meant that your life as you knew it was all downhill. That’s a pretty depressing thought. Times have changed though. 40 is, well, it’s not even the new 30. It’s more like the new 27. It’s young, vibrant, fresh, and still full of life and full of possibilities. 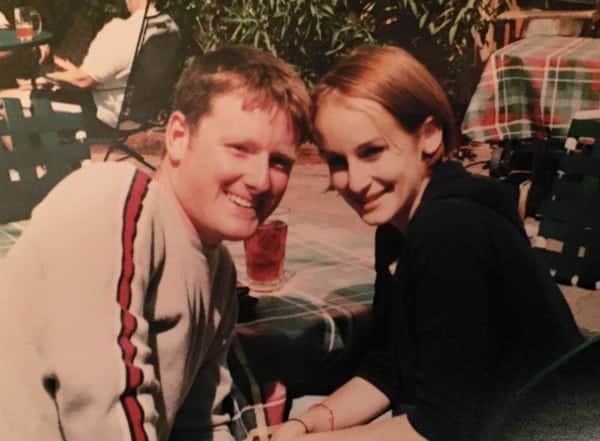 Plus, my husband still looks as young as he did when we met in his early 20s, not the 40 that I imagined in my head when I was a kid. While his energy isn’t quite what it used to be (I blame the twins), the man I fell in love with in the late nineties hasn’t changed a bit. Well, I suppose a few things have changed — like his taste in booze. Starting with his evolution of wine. 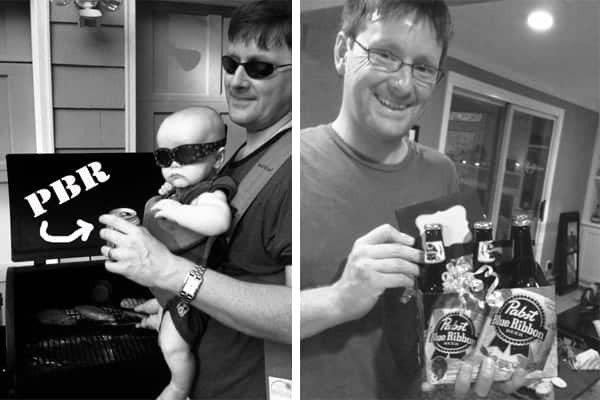 Though Sean was ahead of most college students when it came to wine (because he actually drank and somewhat appreciated it), his taste in wine has changed dramatically since then. Back then he drank mostly cheap sweet red wines. But one specific bottle I do remember was Sokol Blosser’s Evolution (back then it was called Evolution #9). We thought he was all fancy since he drank Oregon wines back when all the rest of us hardly knew the difference between red and white, let alone regional. He could walk into a wine store with confidence and pick out something decent and had no qualms about paying more than $3 for a bottle. 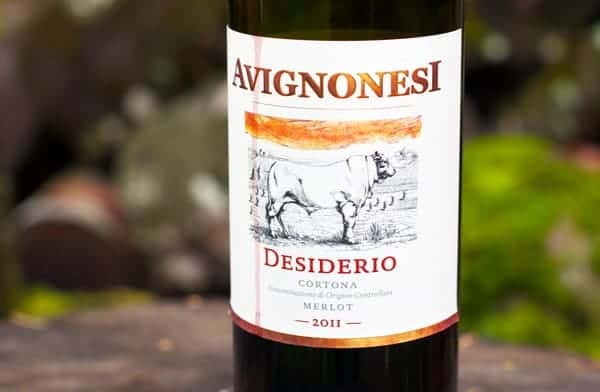 And as his appreciation and knowledge of wine grew, he went from that semi-sweet affordable blend to big bold expensive California Cabernet Sauvignons (I blame the five years living in San Francisco for his affinity towards big California Cabs). While he still enjoys a good tannic Cab from time to time (especially with grilled steak) his preferences have expanded globally. He will experiment with pretty much anything, but he tends to lean towards crisp and dry for white wines. He loves a good Chablis. For reds it should come as no surprise that his current love is for Oregon Pinot Noir. But lately he’s also had a thing for Italian reds and Spanish varieties. 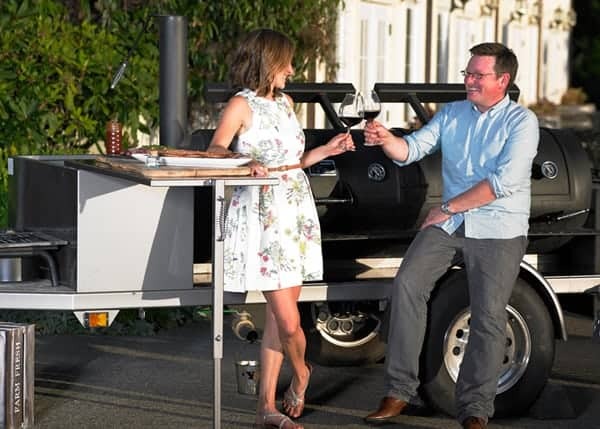 He’s really digging the way they taste with some of our smoked meat recipes. We had one on his birthday eve that won him over. One of his biggest boozy accomplishments in life is divorcing his long-standing go-to beer, PBR, after a near 20-year obsession affinity. It happened. It finally happened! He’s been teased from folks all over the globe (literally) for his preference for this cheap watery excuse for a beer. I never minded though, that stuff is dirt-cheap (which, for me, meant more money to spend on wine)! But something happened this summer. He ended things with the winner of the 1893 award for America’s Best Beer. 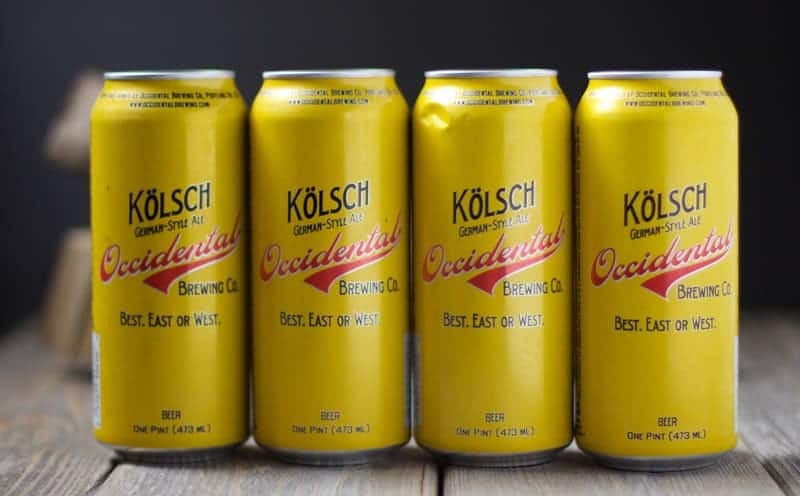 He’s moved on to Occidental Brewing Co. Kölsch as his new go-to. 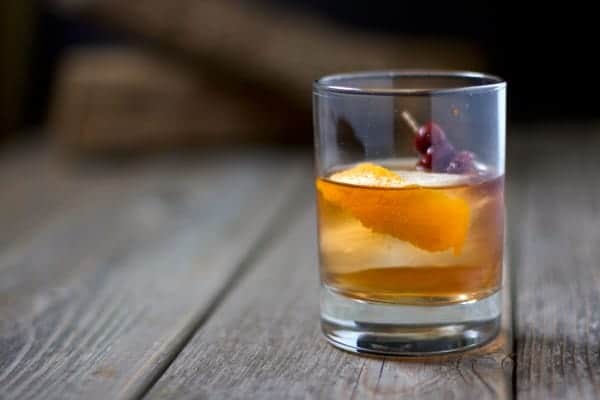 The one thing in his evolution of booze that hasn’t changed is his appreciation for whisky-based drinks, with a preference toward Bourbon and Scotch. In college he would occasionally opt for a Long Island Iced Tea (that’s so college! ), Alabama Slammer, and the ever-so-disgusting Jaeger Bomb, but more often than not he leaned towards cocktails like the Old Fashioned or Manhattan. Not much has changed, as those are still two of his go-tos. What can I say, he’s an old fashioned kind of guy in general. The one thing that has evolved is the brands he now buys. He’s gone from buying cheap whiskey to his current favorite, Basil Hayden Bourbon. But he also loves to try new whiskeys from the many local distillers here in Oregon, like Hood River Distillers. 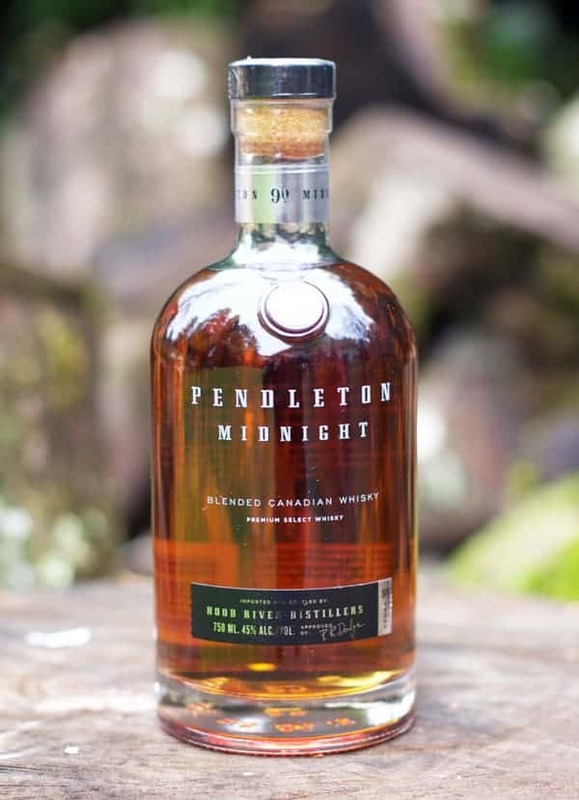 Pendleton Midnight Whisky is a recent one he’s really enjoyed. This oak barrel-aged whisky is distilled in Canada, and then before bottling, the local Hood River Distillers adds glacier-fed spring water from Mt. Hood. A portion of the blend is aged for over six years in American brandy barrels. It has a caramel-y sweet nose and a smooth finish with lingering spices. It’s smooth on its own, but also great in cocktails. So for his birthday, I’m dedicating this cocktail to my 40-years young smoked-meat-loving husband. This drink has a few of the components found in his favorite Old Fashioned, like whisky, bitters, and sugar. In this version we used the Pendleton Midnight Canadian Whisky, and added some smoked cherries and smoked ice. Sean smokes everything, so I couldn’t devote a cocktail to him without something smoky. 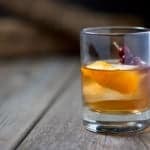 Instead of preparing the drink in the glass like the classic, we mix it in a cocktail shaker (more like a Manhattan), and then pour it over a fresh cube of smoked ice. Not sure how to make smoked ice? Where the heck have you been all these years?! No problem. Just check out this article where Sean describes the wonderful world of smoked ice. But honestly, this cocktail is just as good without the smoked ice, so don’t stress if you don’t have the ability to smoke your ice. Also, the smoked cherries can be found at Republic of Jam. But if you can’t get those either, you can use Maraschino cherries. Inspired by a classic Old Fashioned cocktail and my 40-year-old smoked-food-loving husband. In a cocktail shaker, add the sugar, bitters, whiskey, and some ice. Shake well for about 10 seconds to dissolve that sugar. 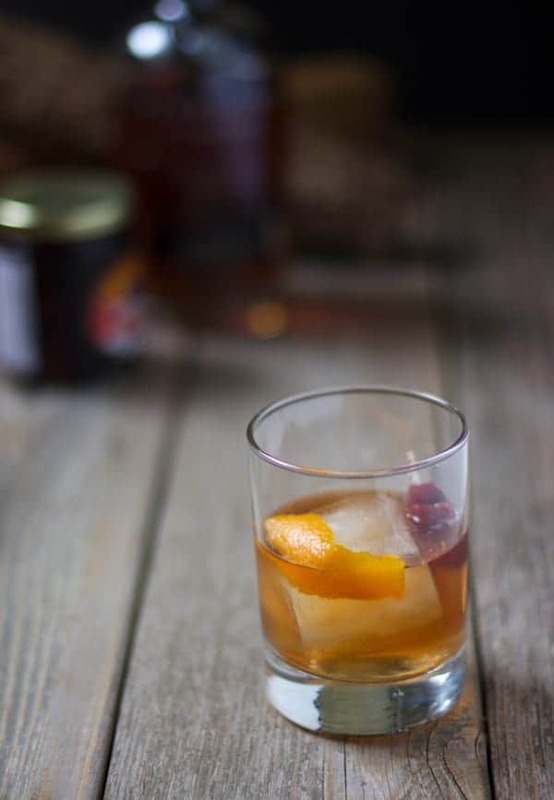 Place your smoked ice cube in an old-fashioned glass and strain the drink into your glass. Add 2 smoked cherries (or 1 Maraschino cherry) and the orange peel. Enjoy. Sometimes I like to add some club soda, just a dash, to very slightly dilute the intensity of the whisky. It’s totally optional. Also, note that the smoky flavor will get stronger the more the ice slowly melts. It’s fascinating to taste the evolution of the drink as this happens. Cheers to 40 more years of good times and refining your taste in booze! Well, this is a fun post, thank you!! I suppose I did evolve over time…..and don’t regret all the crap I took from friends about drinking wine in college. I can’t wait to try this! I recently started drinking Whiskey and I love it! It’s so smooth going down when you find the right one. HAPPIEST OF HAPPY’S SEAN!! Cheers! I love Old Fashioneds, and this is such a cool ( and romantic! ) twist you’ve created! I make my own homemade maraschino cherries, so I’m always excited to find a new drink to use those in. Plus, that smoked ice… Wow. I can’t wait to give that a try. Great recipe and post! Oh I’d love to know how you make your maraschino cherries! The store bought ones are too sticky and sweet for me!! I don’t know where I’ve been hiding, but I’ve never had (or heard of) smoked cherries. I do know a few people who would be pretty impressed if I whipped these up at a dinner party, though. Thanks for sharing. Happy Birthday! This is a wonderful birthday cocktail if Ive ever seen one! Happy birthday Sean! Sounds like a tasty way to celebrate. I love this post. It’s great that you have know each other for so long, that you’ve been able to see tastes evolve. Plus, the cocktail recipe looks absolutely amazing! I love the picture of the two of you and the end of the post – What a great shot! Thanks 🙂 And yes, that Pendleton is pretty impressive! Oh geez, I feel like those twins age me everyday 😉 But I guess I do have to stay young to keep up with them!!! This is so cool! My husband would love this. Awesome! I hope you get to try it someday! I have to make this for my husband. He has become become enamored with smoker recently and always loves a good smokey scotch and even tea. My husband loves dinking whisky in special occasions and your recipe looks ideal to make for Christmas. I ‘ll definitely try it…. Thanks!!! I hope you do get to try it! It’s a great whisky cocktail. I saw this headline a few days ago and could not wait to read. 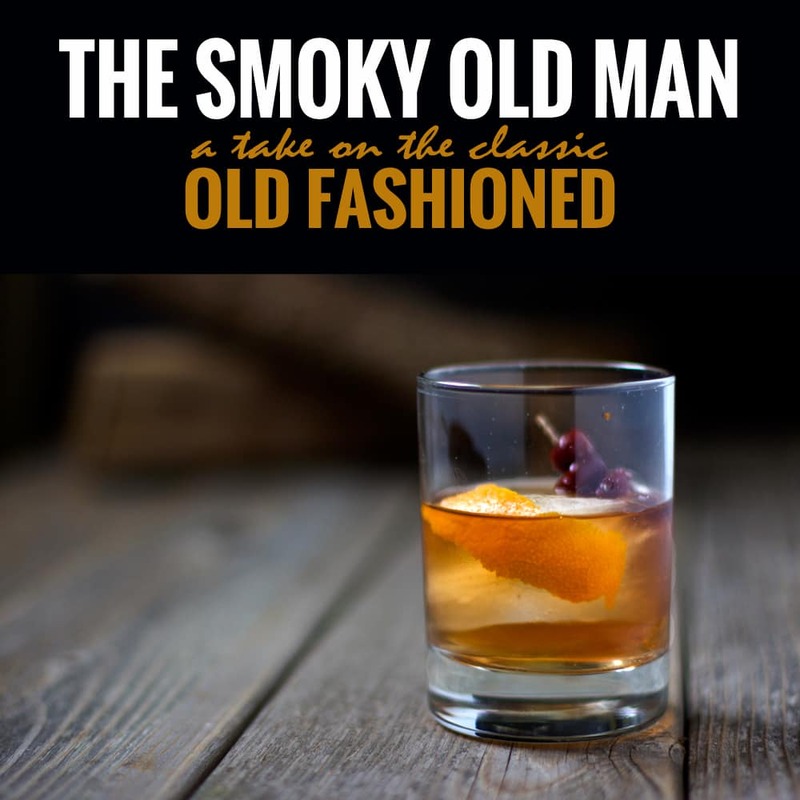 a SMOKEY Old Fashioned??? Oh man. I spent all year working to perfect my Old Fashioned cocktail and this might just be the ticket…. I love that you made Sean a smoky cocktail. So fitting! Happy birthday to Sean and to your cute boys! Celebrate like crazy. Happy birthday Sean! 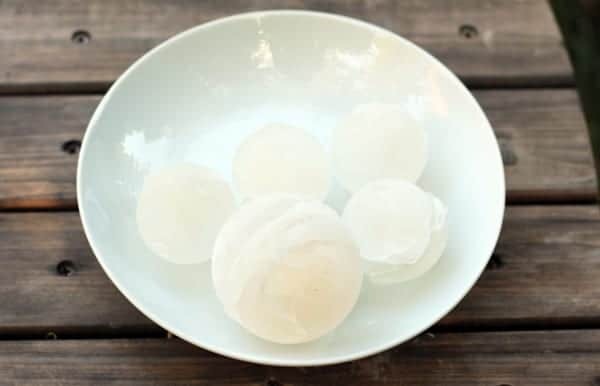 I need some smoked ice in my life and this recipe makes me want to make some right now! What a great sounding drink, smokey peaty whisky is my weakness but this sound unbelievably good! Smoked ice! Wow! My husband would love this too, and he is turning 40 soon…! Smoked ice, now this is something I want to try! I pinned this for later. I am really intrigued! I am in love with this cocktail recipe! Where has smoked ice been all my life? Seriously, your blog is the best, Mary! I learn so much, and you introduce me to THE most delicious things. Lately, whiskey has been on my radar, so this perfect timing. =) I can’t wait to try this delicious smokey whiskey cocktail. Amazing! I LOVE this! What a great idea. I may have to try that with some ice cream this weekend. It sounds way too good to pass up 🙂 Cheers! !